Every year two and a half million UK students consider taking a year out before resuming their studies. If you are one of them, then you will be starting to think about the two most important questions: What to do and where to go. We’ve put together a quick guide to six of the most popular destinations for British students, along with a few ideas of the sort of projects you can get involved with - a quick search will bring up the various providers and costs. 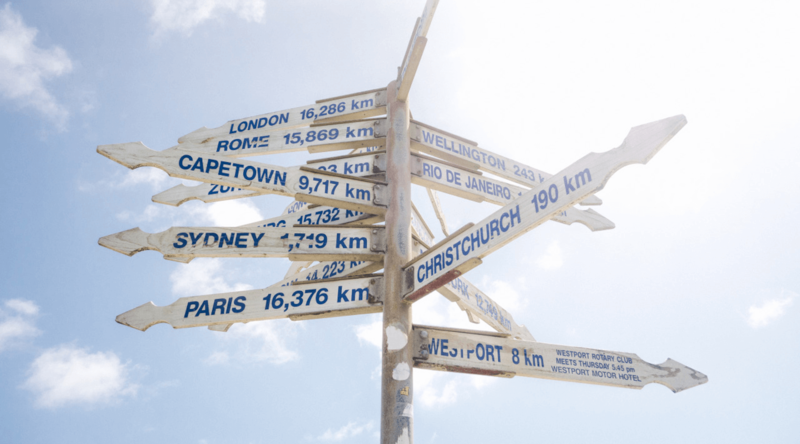 If you’re still not sure whether a gap year is for you, take a look at our article exploring what to think about when making such a big decision. If you are considering doing your gap year abroad, then make sure you register with Transferwise so that you can move your money around cheaply, without paying the hefty transfer fees charged by most UK high street banks. With its paradise beaches, tropical climate, cheap cost of living and laidback lifestyle, the South-East Asian “Land of Smiles” is one of the most popular places for UK students who want to travel and volunteer abroad. Visa requirements: UK nationals are entitled to a 30 day visa, which does not allow for work. If you are planning on volunteering, you will need to get a Non-Immigrant O Visa, which allows you to volunteer for 90 days. The Land Down Under has long been a favourite with UK students - no language barrier and the ease of getting a short-term travel and work visa make it an attractive destination. Mix in incredible scenery and vibrant, multicultural cities and you have the recipe for a great year abroad. Visa requirements: If you are between 18 and 30 and want to work or travel in Australia for up to 12 months, then you can apply for a Working Holiday Visa. You will need to show that you have adequate funds in your bank account to support yourself for a year. India has had a pull on British travellers for many years. The world’s biggest subcontinent offers incredible variation in culture, scenery and food. From the desert regions of Rajasthan to the beaches of Goa, and the tranquility of the Himalayan mountains to the hectic city streets of Mumbai or Delhi. Visa requirements: UK citizens can get a tourist visa of six months to visit India, but if you are planning on volunteering you will need to apply for an Employment Visa. This site gives a good rundown of the visa types and you can start your application here. 5,000 miles of beaches, incredible rainforest and cities that the word “vibrant” might have been invented for. Brazil’s incredible culture and lifestyle have long made it a very popular destination on the gap year trail. Visa requirements: A two-year visa - the visto de assistência social - is available for people wanting to volunteer in Brazil. No work contract is needed - you can apply for the visa directly. However, this must be done in the UK. UK nationals can stay in Brazil for 90 days without needing a tourist visa. If you prefer to stay a little closer to home but are still wanting to leave the comfort zone of the UK then there are thousands of opportunities within Europe itself. Visa requirements: European Union citizens (which includes you, as a UK citizen) are entitled to work and travel freely throughout the EU. Visa requirements: Absolutely none! If you want more food for thought, take a look at our guide to getting the most from your gap year.